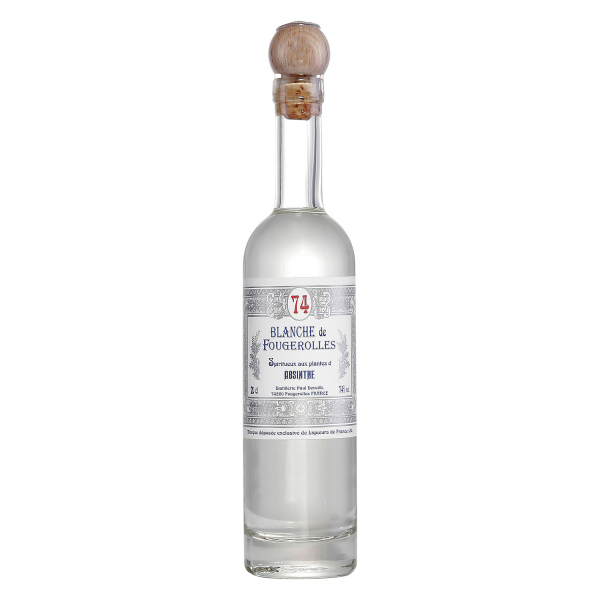 Hugues de Miscault reproduces an Absinthe with a recipe directly from the pages of late 19th century French liquoriste manuals, such as those by Duplais and Brévans. Blanche de Fougerolles is made with a grape-alcohol base and combines "Grande" and "Petite" Wormwood, Green Anise Seed, Hyssop, Veronica, Camomile, Génepi, Fennel, Coriander and Angelica. All herbs are individually distilled into full 80° alcoholates, blended, and then reduced to 74% abv. The alcoholic strength of 74%, dictated by the original recipe, gives this Absinthe real backbone, but the grape-based alcohol by no means overpowers the finesse and lingering aromas of the complex combination of aromatic plants in this highly regarded and well documented recipe. This Absinthe is often compared to and surpasses in quality, the majority of clandestine Swiss la Bleues made today. Related links to "Absinthe Blanche de Fougerolles"
Customer evaluation for "Absinthe Blanche de Fougerolles"